“Radical Remission” is a book by Kelly A. Turner, PhD. and details the 9 common factors of cancer remission that her research has uncovered. Not intended as a recipe for success, nor a silver bullet by any means, this work is the result of years of interviews from around the world with cancer survivors and health professionals. Our desire in reprinting these excerpts is to encourage discussion in the medical community and to empower cancer patients. Further study into such cases should be done, not ignored. We already know that cancer can be caused by toxins, viruses, bacteria, genetic mutation, or cellular breakdown. What makes this already complex disease even more multifaceted is the fact that the state of an individual’s body-mind-spirit system plays a pivotal role in whether or not toxins get removed from the body speedily, viruses and bacteria are allowed to take root, genes mutate, or cells break down. The state of the body-mind-spirit system is strongly affected by physical behaviors (e.g., what we eat and drink, how much we exercise and sleep), mental and emotional behaviors (e.g., whether we’re experiencing stress or happiness, fear or love), and spiritual behaviors (e.g., whether we feel connected to a deeper source of love, stop our thoughts and relax on a deep level on a regular basis). Given all this complexity, it’s no wonder nine— not just one— potential healing factors emerged in my research. And then there is the wonderful, complex reality of individuality. Radical Remission survivors constantly remind me that no two people on this planet are the same, and therefore no two prescriptions for health will be the same. Some people need to focus more on their diets in order to heal, while others need to focus more on releasing anger from their past. Some need to focus more on taking control of their healing, while others need to focus on detoxifying their bodies with herbal supplements. And some people need to focus on all these things equally. That is why none of the nine key healing factors in this book is more important than the others, because everything depends on which particular factors your unique body needs for healing. While cancer, the body-mind-spirit system, and the nine key factors of my Radical Remission research may be multifaceted, my goal in writing this book was singular: empowerment. Cancer is currently a devastating disease. Most people feel like they have no power to prevent it, since it so often sneaks up on them without any warning. If diagnosed with cancer, they feel like they also have no power to affect its course, besides whatever their doctors offer them in terms of surgery, chemotherapy, or radiation. If they do manage to go into remission, they then feel powerless in being able to prevent cancer from recurring. Add to that the paralyzing fear of death that comes along with any cancer diagnosis, and we have a nation of 12.5 million disempowered cancer patients, 1 not to mention millions more family and friends who feel powerless to help their loved ones. That’s why I began studying Radical Remissions in the first place. I wanted to take some power back from this very scary disease. After years of in-depth research into this topic, which have culminated in my sharing these nine key factors with you via this book, I now believe there are ways to feel much more powerful when facing cancer— and I hope you do, too. The great thing about these factors is that none of them is rare, hard to access, or prohibitively expensive; instead, all they require is some effort on your part. In addition, they have all been shown to promote health in scientific studies. 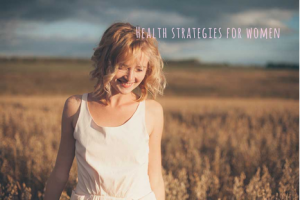 4wholeness.com provides education and resources surrounding integrative care. Every article, comment, recipe, video and recommended product has been curated with love. We value whole person health. Making informed decisions is essential. Survivorship and quality of life are central to our vision for health care. This entry was posted in Caring for the Whole and tagged Integrative therapy, radical remission. Bookmark the permalink. Will like to get more information.